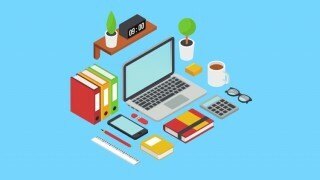 Udemy - The Coding Interview Bootcamp Algorithms Data Structures | Free eBooks Download - EBOOKEE! Posted on 2018-06-09, by everest555. Data Structures? They're here. Algorithms? Covered. Lots of questions with well-explained solutions? Yep! If you're nervous about your first coding interview, or anxious about applying to your next job, this is the course for you. I got tired of interviewers asking tricky questions that can only be answered if you've seen the problem before, so I made this course! This video course will teach you the most common interview questions that you'll see in a coding interview, giving you the tools you need to ace your next whiteboard interview. Coding interviews are notoriously intimidating, but there is one method to become a better interviewer - and that is practice! Practicing dozens of interview questions is what makes the difference between a job offer for a $120k USD and another rejection email. This course is going to not only give you dozens of questions to practice on, but it will also make sure you understand the tricks behind solving each question, so you'll be able to perform in a real interview. I have spent many hours combing through interview questions asked at Google, Facebook, and Amazon to make sure you know how to answer questions asked by the most well-paying companies out there. No stone is left unturned, as we discuss everything from the simplest questions all the way to the most complex algorithm questions. An overview of the most important data structures to know about. These are presented for people without a CS degree. Constant support on the Udemy Q&A forums from me! No comments for "Udemy - The Coding Interview Bootcamp Algorithms Data Structures".